Marc hasn't connected with their friends on Goodreads, yet. 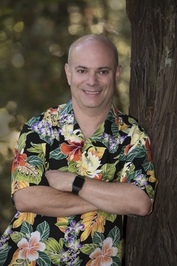 Family and friends would tell you that the protagonist in his stories, Marty Golden, isn't much of a stretch of the imagination for Marc, but he proudly resembles that rema Marc Jedel writes humorous murder mysteries. In his high-tech marketing roles, he's also written fiction. These are just called emails, ads, and marketing collateral. Visit his website, , for free chapters of upcoming novels, news and more. To ask Marc Jedel questions, please sign up. Marc Jedel Completing my first book all started with a picture. (Visit my website blog to see it). I’ve wanted to write a book forever. I thought I’d write…moreCompleting my first book all started with a picture. (Visit my website blog to see it). I’ve wanted to write a book forever. I thought I’d write sci-fi since I enjoy that genre as well as mysteries. But, I couldn’t come up with a really good plot. My writing research had clearly demonstrated that having a plot is critical for a successful novel. I had this idea to start with a drone falling and killing someone before it becomes uncertain whether it was an accident or murder. During evening walks with my wife and dog, I apparently complained too often that I didn’t have a good idea. I know this because my wife told me to stop complaining and just go write something. I’d just received an awesome birthday drawing from my nieces. And my kids, or my nieces, or one of our friends’ kids had done some crazy things. Probably all of the above. One thing led to another and the idea formed to loosely base a mystery with a self-absorbed, fashion-backward software engineer, his sister, and his nieces on my life. It’s clearly fiction. I mean I’m not a software engineer. Yet, my mother’s voice in my head told me, “Don’t kill off your sister. Not even in fiction. It’s bad luck.” Although she’s been gone for many years, it’s still important to follow her guidance. If not, a lightning bolt could strike me down. Come to think of it now, many years later, I don’t really understand this logic. She used to tell us that, even after she died, she’d send a lightning bolt to hit us if we did something really wrong. First, in hindsight, that seems a bit morbid. But, second, how is sending lightning bolts a kind and benevolent method of instructing your child to do no wrong? The post Real World Inspirations for Book 2 appeared first on Marc Jedel - Author. Link takes you to my book review blog." We’d love your help. Let us know what’s wrong with this preview of Uncle and Ants by Marc Jedel.
" Thanks so much for your help on this! " We’d love your help. Let us know what’s wrong with this preview of Triggerfish Twist by Tim Dorsey.